While the program is in its infancy, the legwork and early plans for the Minnesota “Car Careers” initiative seem to have yielded a few potential lessons for repairers seeking future technicians. Alliance of Automotive Service Providers-Minnesota Executive Director Judell Anderson, whose organization helped create the Minnesota Careers in Automotive Repair and Service effort, discussed the program Tuesday. 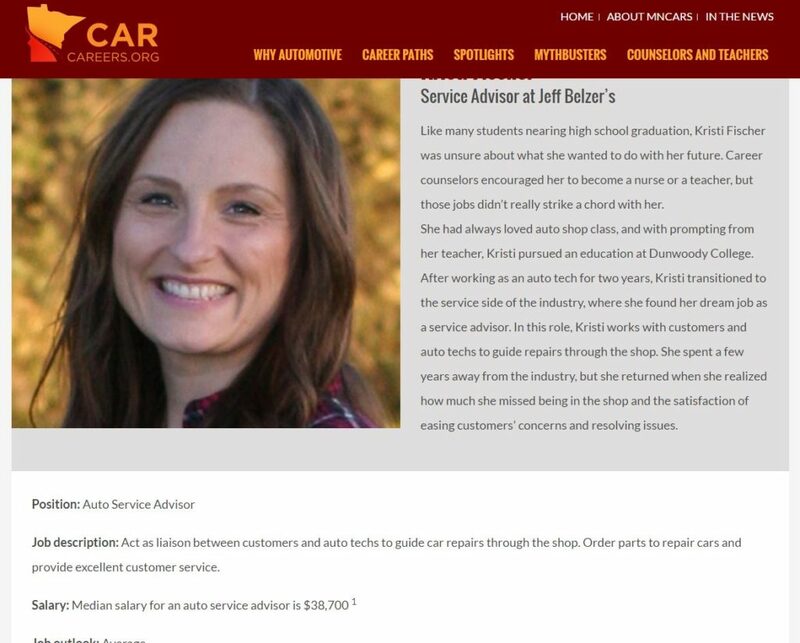 Besides a useful resource for teenagers nationwide trying to figure out what to do with their lives — and their parents — MNCARS might have provided the AASP-MN’s collision and mechanical service and repair colleagues in other states with a playbook. 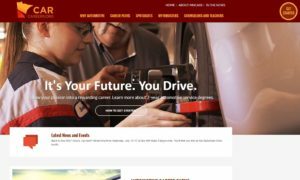 AASP-MA has a scholarship for future technicians (another good way to get the word out), and applicants constantly reference how they got interested in cars through a family member. “There was some family connection to the business,” Anderson said. This helped direct the campaign’s philosophy. So those trying to promote automotive careers should go where a gearhead relative would — ideally a relative accompanied by their niece, nephew, grandchild or child. 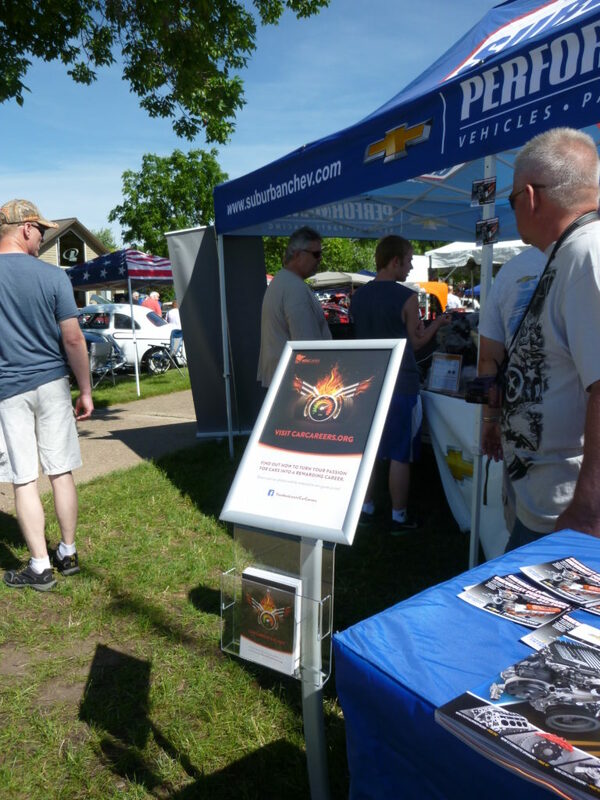 Earlier in the month, the MNCARS campaign could be seen in the Suburban Chevrolet and PPG booths at the Minnesota Street Rod Association’s high-profile “Back to the 50’s” car show. Next month, it’ll appear at the Street Machine Nationals event July 15- 17. This also captures the “low-hanging fruit” of a teenager already interested in some element of the automotive world, or even one just with a interest in tech or other trade work that might not have thought about automotive as a career. Recruitment and promotion efforts have targeted student robotics clubs, for example, Anderson said. Once you find a student with such interests, a campaign can demonstrate the wide variety of jobs available outside of the shop floor. An employee can work in the automotive aftermarket but not be “under the hood your whole life,” as Anderson put it. For example, one can be an estimator, painter, parts manager, service advisor — or even an owner. Like many students nearing high school graduation, Kristi Fischer was unsure about what she wanted to do with her future. Career counselors encouraged her to become a nurse or a teacher, but those jobs didn’t really strike a chord with her. She had always loved auto shop class, and with prompting from her teacher, Kristi pursued an education at Dunwoody College. After working as an auto tech for two years, Kristi transitioned to the service side of the industry, where she found her dream job as a service advisor. Just as it’s important to hit the right audience, it’s important to use the right medium. 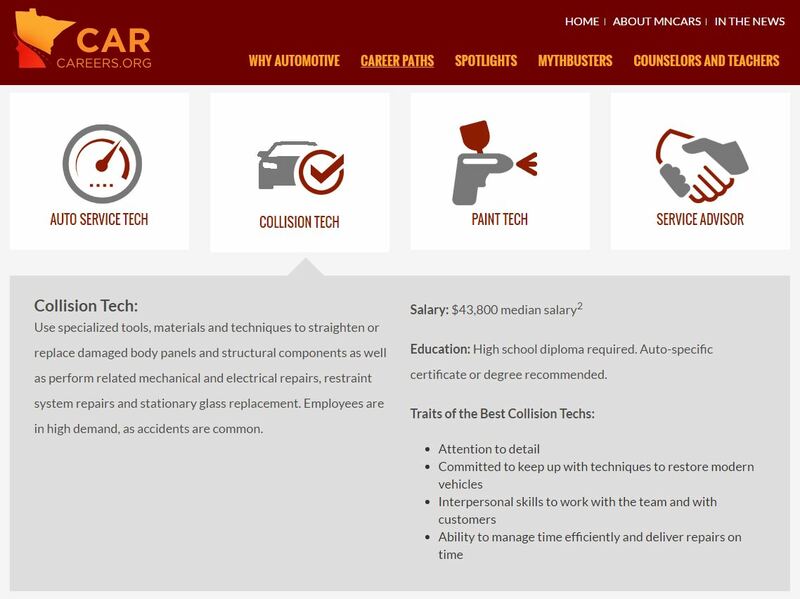 To reach younger targets, Anderson said MNCARS (and marketing manager Risdall Marketing Group) places an emphasis on social media, and the initiative has a Facebook and Instagram page. Parents want their kids to succeed. So the AASP-MN and the campaign knew “we need to overcome any resistance” from a parent concerned that their child will skip a four-year college or take a low-paying blue-collar job, Anderson said. “We’re stressing that it’s very high-tech; it’s very stable in terms of economics,” she said. It’s also extremely portable, she noted. Not only can a student start a career within two years and even potentially work while attending school, but “you can make a good living,” Anderson said. This fact is demonstrated through a variety of financial stats and a “Mythbusters” entry on the CarCareers.org site. Which ought to be enough to not only prevent the kids from moving back into the house but let them support you in your old age. The MNCARS campaign also specifically targets parents by pursuing “human interest” news coverage of industry success stories, Anderson said. Getting that ink will rely heavily on Risdall’s marketing acumen, she said. Finally, school guidance counselors can play a role in sending students to the automotive aftermarket — by offering the tools for students to make that decision themselves. At a meeting of a state guidance association, counselors recommended Anderson and other organizers offer job shadowing and a compatibility test to truly see if the industry is a good fit for them. The counselors also provided a surprising piece of advice: Print is dead. “They (the counselors) didn’t want posters, they didn’t want paper of any kind,” Anderson said. Instead, the counselors recommended providing digital materials about career options to advisors, who can in turn easily disseminate it to students. The campaign was all set to print up education materials, but following the advice, “We’re not going in that direction at all now,” Anderson said. An earlier version of this article incorrectly identified the marketing campaign manager for the MNCARS initiative. Risdall Marketing Group will manage the publicity. The article has since been corrected. An earlier version of this article incorrectly characterized the scope of a counseling association contacted to research the MNCARS campaign. The association was a state-level one. The article has since been corrected.